Walnut Kernels are one of the many dry fruits offered by us. Our Walnut Kernels have thin shell and render great flavor when used in the preparation of cuisines. 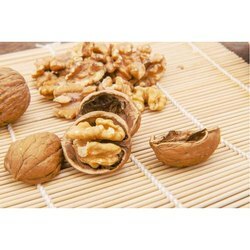 We supply Walnut Kernels that are highly acclaimed for their taste and nutrition content. Our Walnut Kernels are hygienically packed to prolong their shelf life.